At Noon Eastern Time / 9am Pacific Time, click here to visit the Allure site. 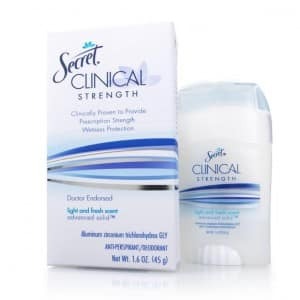 If needed, refresh the screen and fill out the form to request a free Secret Clinical Strength Deodorant. If you don’t snag this today, no worries because they will be doing giveaways every week until October 13th. ran out while I was filling out the form. Less than a minute. of all the products I use, I can depend on Secret deodorant. All gone!! The site said this is a past deal now. Next giveaway is Olay in 6 days. i would love free samples thanks….